•Fully equipped kitchen and laundry, electric oven and hobs, microwave, dishwasher, fridge, freezer, waste disposal, automatic washing machine and dryer. •Large deck with quality outdoor furniture (seats 6 persons) to enjoy lovely sea and Mount views and outdoor living. Great apartment; clean and tidy; good facilities; excellent location. 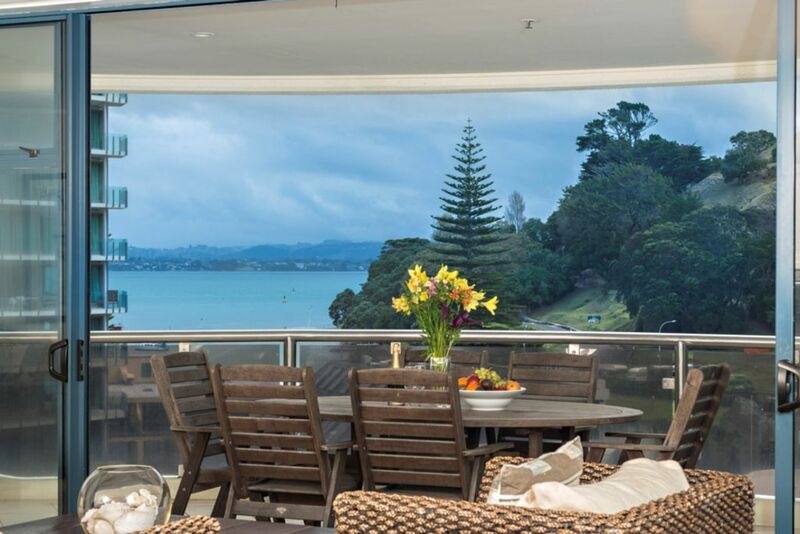 This is a great apartment with awesome views out at Pilot Bay. It is well equipped. Best of all it is quiet ! No traffic noise or any other noise actually. Great location. Not much of a sea view but its only situated across the road from the sea. Great location for cafes and restaurants.